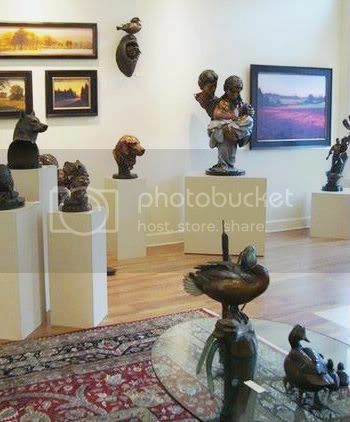 At Caswell Gallery we all love summer, not only for the warm weather, but for the many notable art festivals held throughout the region. We try to attend as many as possible, and you’ll see Rip at some of them as well. This list is not complete, but is a very nice sampling of what is taking place over the next few months. 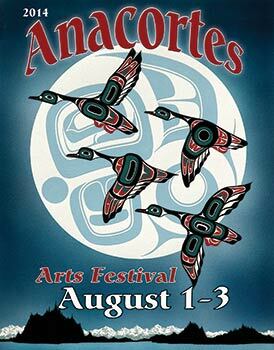 The Lake Oswego Festival of the Arts is a major regional arts event, presenting the creative endeavors of artists from all disciplines of the art world. Event features over 120 artists, food, wine & beer tent, and music. The Plein Air & More event includes artists’ receptions along with a collaborative show of art work. More than fifty artists, represented by Cannon Beach’s art galleries will be creating works of art on location throughout town and on the beach. Individual galleries display the finished works on Saturday and Sunday. From its inception as a small art auction and wine-tasting event, Art and the Vineyard has grown into the premier art and wine festival in the Southern Willamette Valley. The City of Gresham will present the 2014 Gresham Arts Festival continuing the annual summer tradition of a regional celebration of art, artists, music and community. Talented artisans from around the Pacific Northwest will showcase work in historic downtown Gresham. Sisters Outdoor Quilt Show’s is the largest outdoor quilt show in the world. The show began when the founder, Jean Wells Keenan, hung a dozen quilts made by her students outside her quilt shop. A few more ladies brought their quilts to show, then a few more and a few more, eventually becoming an annual event. ArtBurst Northwest is a fine arts and crafts festival located on the grounds of Marylhurst University. The festival has evolved into a high-quality juried art show showcasing talent from throughout the Portland metropolitan area. Art in the High Desert is Central Oregon’s premier juried fine art and craft show, exhibiting over 100 highly acclaimed artists from across the US and Canada. Art in the High Desert takes place on the banks of the Deschutes River, in the Old Mill District. Art in the Pearl has been named one of the top 10 Arts and Crafts Festivals in the country. The festival fills the Northwest Park Blocks with art, theater, music, and hands-on activities for people of all ages. Corvallis Fall Festival is the area’s largest art festival celebrating its 42nd year. Our mission is to serve, support and showcase Corvallis while helping local arts and crafts thrive. Bellevue Festival of the Arts is a juried arts and crafts fair produced by the Craft Cooperative of the Northwest. It features 200 artisans, musicians and craftspeople from the Northwest and beyond. The Bellevue Festival of the Arts takes place along with two other art fairs, Bellevue Art Museum’s ARTSfair and Bellevue’s 6th Street Fair. Together these three fairs are known as Bellevue Arts Fair Weekend. In our 6th decade, we features 250 diverse artisans who transform six blocks of historic downtown. Extending down to the water, Arts at the Port showcases over 30 northwest fine artists in three exhibitions.